1% for the Planet started as a solution to the global community falling short of working to save the earth. Yvon Choinard, the founder of Patagonia, and Craig Mathews, founder of Blue Ribbon Files created 1% for the Planet back in 2002. Since then, they have created a network of businesses and nonprofits with one simple goal: working together for a healthy planet. Here’s how it works: As a member, 1% determines our priorities and goals for giving and helps us find the best nonprofits to give to. “Members give directly to approved nonprofits of their choice and we certify this giving annually. Direct giving helps put dollars in the hands of doers quickly and efficiently with 1% for the Planet providing the expert guidance necessary to ensure it’s the smartest donation possible.” With 1%, there is no middle man or waiting. We can ensure that our donation is going directly to nonprofits committed to bettering our planet. This is our home, and it’s the only one we have. When you watch and listen to the news, you can see the destruction occurring throughout the world. Our oceans, wildlife and lands are threatened more than ever. If we don’t act now, quite frankly, our earth won’t be around much longer. As part of the 1% for the Planet community, we have partnered with Surfrider Central Long Island. In collaboration, we work to protect our waters and coasts. 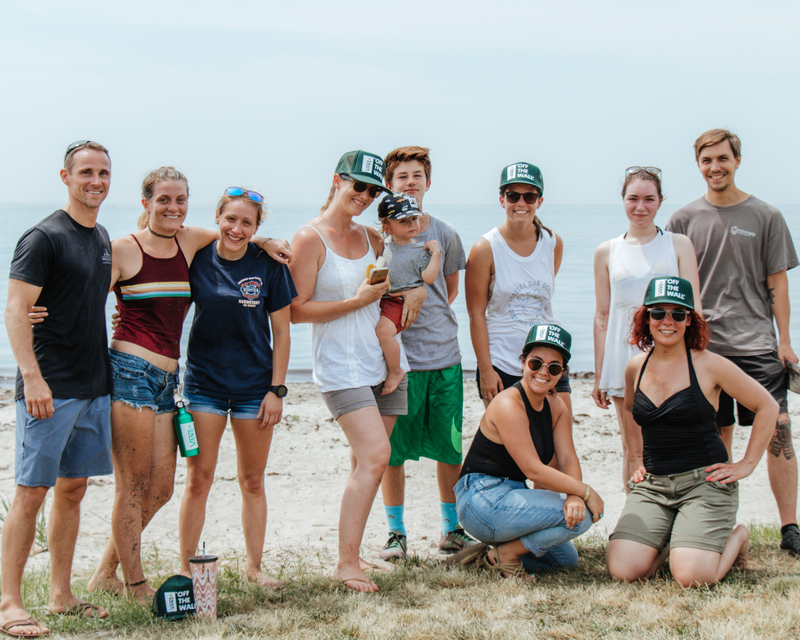 In 2018, we participated in a clean up with Surfrider right here in Sayville. Together we removed harmful litter and invasive species from the Maritime Museum. We are also working hard to become a part of Surfrider’s Ocean Friendly Restaurant initiative. We are proud to work directly with organizations like Surfrider Central Long Island to make a difference and positive impact locally and in turn, globally.